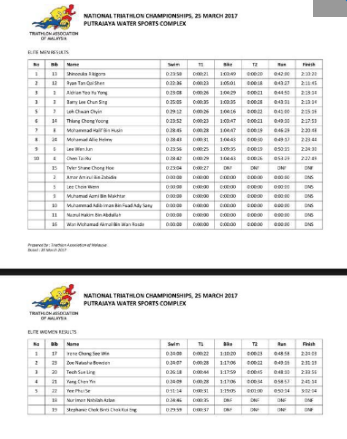 Highlights – Malaysia National Triathlon Championships 2017 | JustRunLah! 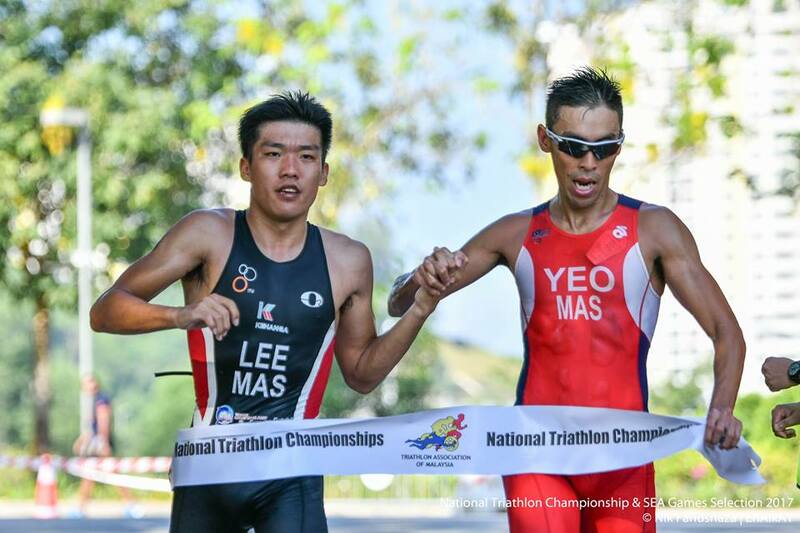 Last weekend, Malaysia’s triathletes jumped at the chance to give it a shot at qualifying for the SEA Games 2017! 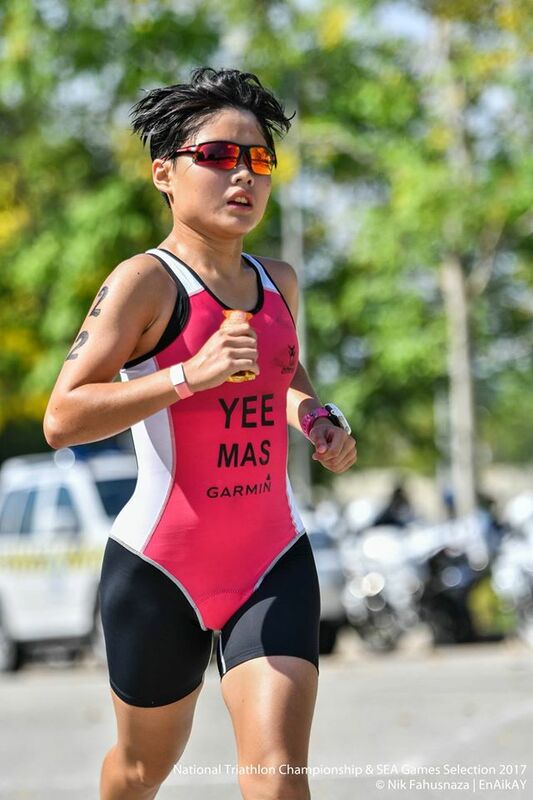 The National Triathlon Championships was a weekend displaying fierce competition, determination and grit. 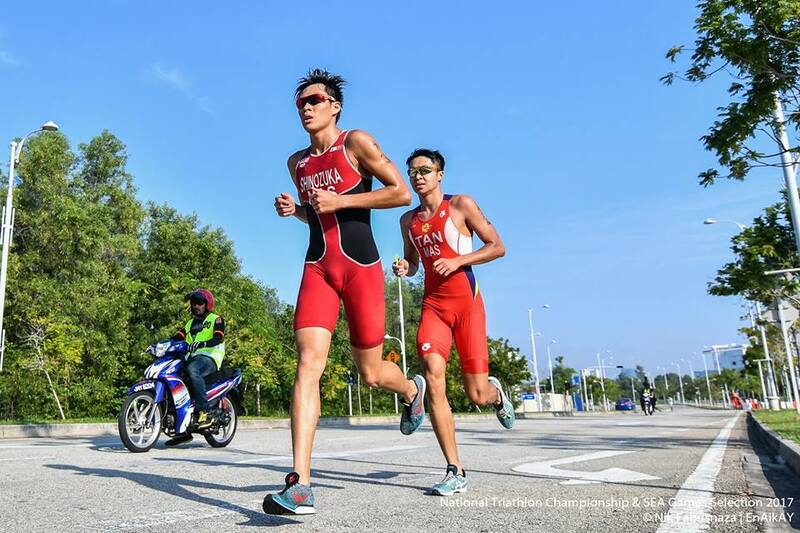 11 male and 7 female triathletes took part in the inaugural SEA games selection event giving it their very best. Congratulations to those who made it, and to those who didn’t – know that you tried and gave it your all! Riki was of course the favourite to come out on top! 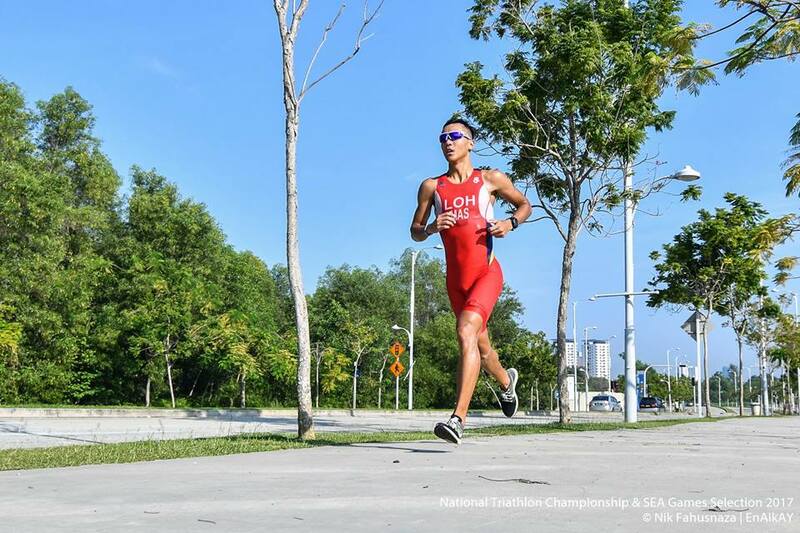 Silver Medalist in the SEA Games Singapore 2015 – of course we couldn’t expect any less from him and was looking forward to another top notch performance! He definitely delivered a stellar performance, coming in a minute 25 seconds ahead of 2nd place! Allison came out of the water dead last! It was an epic swim time – a whopping 51 minutes for a 1.5km swim – probably the worst in any selection history. That’s more than double the time posted by the first swimmer. 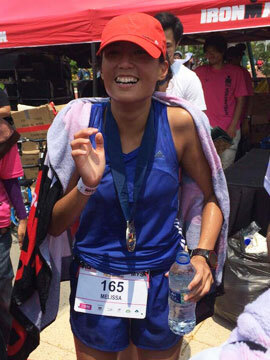 She finished her bike segment when the first athlete was already 7.5km into her run! Yet Allison did not just DNF! Despite being almost half an hour down from the swim, she persevered on! She did not give up! She completed the course even if she came in last! That is some spirit from this petite try-athlete! Young Gun Ryan Tan is the boy to watch! He came out of the water with a great lead, cycled alone for probably half the bike course, ending the bike segment together with Riki! He lost out on the run – but his SEA games slot was definitely well deserved! He was amazing! Coming out dead last on the swim – a whole almost 7 minutes behind the first swimmer, he did not give up! He persevered on! He chased from last to 5th and it was a good chase he put up! Congratulations Riki, Ryan, Irene and Zoe! BIO: Runner, Foodie, Occasional Try-athlete, Nerd, Trail Runner and Adventure Runner. Sports and the outdoors is an addiction. Click here for more post from Mel.